Market Forecast has announced the release of their latest report titled “Global Missiles and Missile Defense Systems Market Forecast to 2027”. It encloses an in-depth research of the Missile & Missile Defense Systems market and the competitive landscape globally. A first of its kind report highlights enormous potential of Anti Satellite Weapons (A-SAT) and Directed Energy Weapons (DEW) apart from providing detailed research and analysis of existing technologies like Cruise Missiles, Ballistic Missiles, Air to Air Missiles and Surface to Air Missiles. Global Missiles and Missile Defense Systems (MMDS) market, valued at US$55 billion in 2018, is projected grow at a CAGR of 6%, to value US$93.0 billion by 2027. The cumulative market for global expenditure on Missiles and Missile Defense Systems is valued at US$ 725 billion. Heightened tension in the Middle East caused by friction between Saudi Arabia & Iran is compelling countries in that region to spend billions to procure missile and missile defense systems. Similarly tension in the Indian subcontinent and the Korean peninsula is leading to large scale purchase of cruise missiles and missile defense systems by countries like China, India, Pakistan, Japan and South Korea. 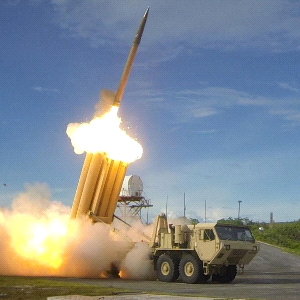 European countries too are beefing up their missile defense capabilities.